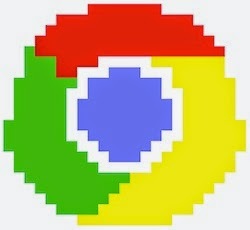 Google Chrome, the world's most loved web browser has come a long way. Once touted as a faster alternative to Firefox has turned itself into a significant player in the OS marketplace. With the launch of Chromebooks, Google has ensured that pretty much everything you do on your desktop can be done in your web browser. Taking this vision further, the search behemoth turned the web browser into a full-fledged operating system. Running on top of Linux, Google Chrome OS has become a crowd favorite. Its ability to sync seamlessly across all devices has made the initial naysayers give Chrome OS a second chance. The soaring growth has many implications apart from the decimation of Microsoft's monopoly. Chrome's growth has propelled developers to create apps that are at par with the ones on Windows. Be it photo retouching tools or text editors, the Chrome Web Store houses pretty much everything. If you are a developer reluctant to switch to a browser-based operating system, think again. Chrome has some amazing developer tools to offer that will help you code the app that you want without being chained to a real "desktop". 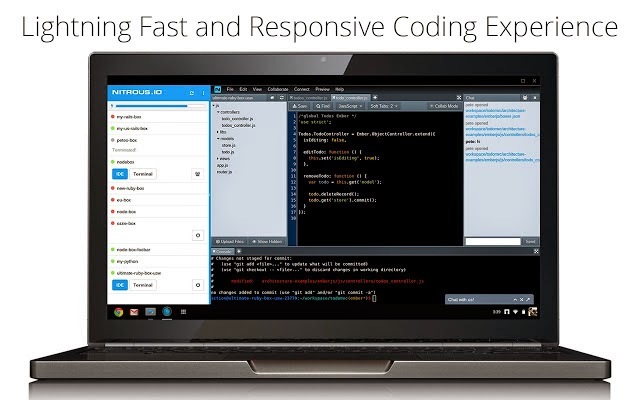 Nitrous.io is a cloud-based development environment platform that works in your browser. While you may be wondering whether what you just read is some shady marketing ploy, you're wrong. Nitrous does offer a full-fledged development environment that can be accessed from anywhere you want. This development environment involves a fully featured text editor along with a Linux shell loaded with all the development tools you need. Besides C, C++, and Java, Nitrous also supports Ruby, Python, Node.js and Go. The Linux shell from Nitrous actually runs in your browser and from the tests we ran, it runs almost as good as a native Linux shell. One of the best things about Nitrous is that it doesn't need anything to setup. Simply select the type of development you are going to do and you are done. Nitrous is free to start but charges you for extra "N20s" that add more features to your app. 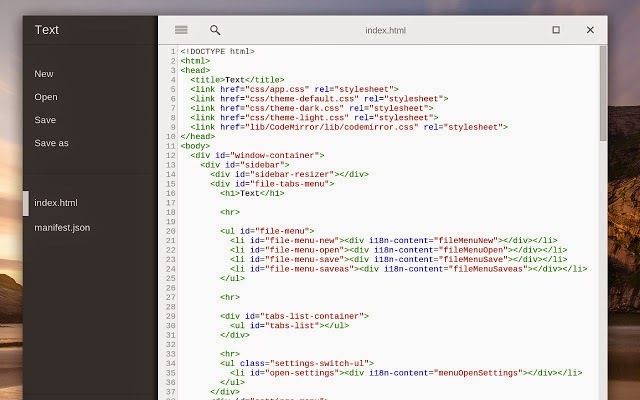 Text is the text editor you need if you are serious about programming on Chromebooks or Chrome. It is simple, fast, and has syntax highlighting. If you are someone who travels a lot, coding on the go becomes much more easier with Text's ability to work offline. Once installed, you can work on multiple files at once and save them to Google Drive too. It is definitely worth considering if you are a coder who wants a neat text editor with powerful features. 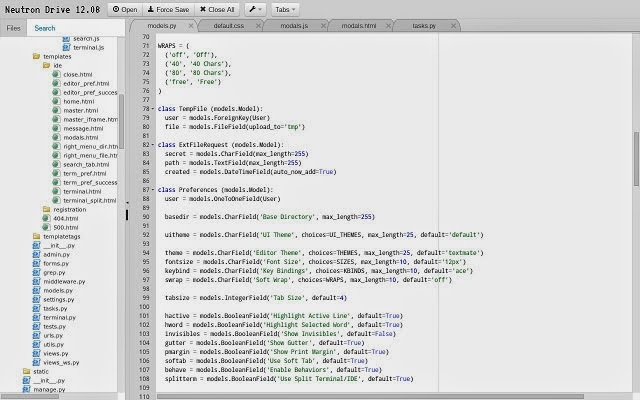 Neutron Drive is a Google Drive-integrated code editor that lets you collaboratively edit your code. One of the very few apps with real-time collaboration, Neutron Drive makes it easy for coders who work in teams. Another advantage that Neutron Drive has is that it has a full-fledged editor, file browser, and built-in revision control that you can access from any device. Neutron Drive not only offers the basic development features, it also provides an interface that is highly customizable and easy to work with. The files that you are working on are automatically saved to Google Drive without you having to worry about any data loss. 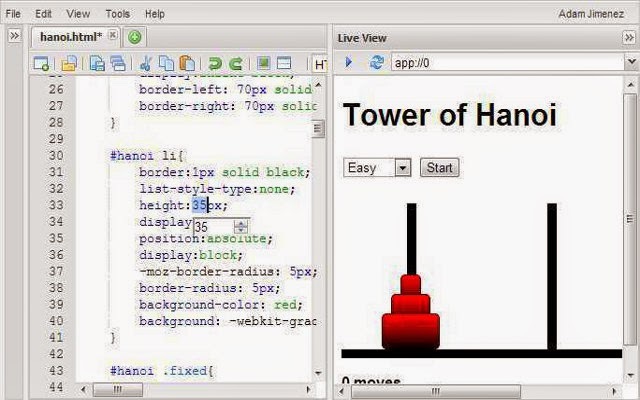 You may also check out our previous collection of Google Chrome Extensions for Web Developers.